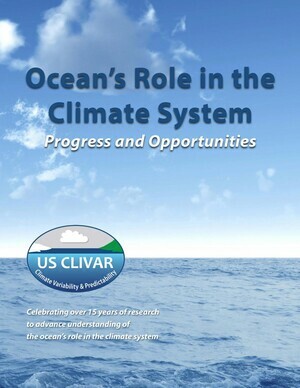 US CLIVAR’s 15-year Science Plan (released December 2013) updates the goals and priorities of US CLIVAR based on achievements to date. The Plan articulates important implementation activities, including expanding upon US CLIVAR’s core research to target specific Research Challenges that emphasize strengthened ties tot he broader Earth science community and relevance to societal impacts. The Science Plan represents the interests of scientists and stakeholders throughout the climate community. We sought input from the broader climate research community and funding agencies. Writing teams, consisting of scientists both inside US CLIVAR (current and former SSC members, panelists, Project Office personnel) and outside the program (experts on topics at the interface of disciplines) prepared an initial draft of the document. After a community-wide review, the SSC carefully considered all review comments to revise the Science Plan for publication.pecific Research Challenges that emphasize strengthened ties to the broader Earth science community and relevance to societal impacts. The accompanying brochure to the Science Plan highlights progress of the US CLIVAR Program over the first 15 years and opportunities for the future.